Capital Coating, Inc. is an experienced commercial painter, for interior and exterior alike. 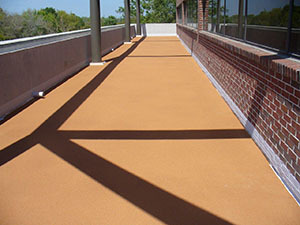 There is more to commercial painting projects than just selecting colors and applying them to your building. With our years of service, we have developed a plan for proper management and performance that ensures projects run smoothly and are completed in a timely manner. 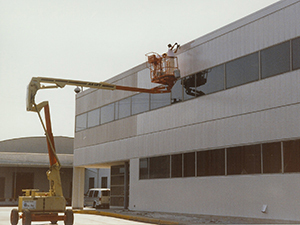 Make sure you choose a commercial painting company that has the ability to properly treat your building with long-lasting painting solutions. Our office can be reached at (717) 442-0979. For commercial painting services of the highest quality and a company that strives for completely satisfied customers, Capital Coating, Inc. is your best choice. For your commercial interior painting projects, we will take the time to help you select the right colors for your space and work around your busy schedule to provide the work at a time that will not disturb your business practices. Work begins with a comprehensive summary informing you of the commercial painting process, and how and when work will be provided. To find out more about our interior commercial painting services, contact us at (717) 442-0979. Exterior commercial painting is much more than just painting. Painting goes hand in hand with a few other commercial services as well, including carpentry services and building maintenance. Our exterior painting projects are all supervised by a project manager to ensure they are completed in a timely manner and to our customers’ specifications. After all plans are ironed out, work will begin. Let us provide you with a beautiful front for your building to appeal to you and your clients. For more information about our exterior commercial painting services please call us at (717) 442-0979. We would be happy to hear from you. There is more than just brushing, spraying or rolling a coat of paint onto a substrate. Preparation is key! Let us find the best painting solution for your high traffic commercial building. We will work with you to provide a fresh coat of paint for the exterior of your building to provide protection and to catch the eye, or a bright new color for the interior of your building to make patients at your dental office relax. We have colors to brighten the atmosphere of your dining establishment, or to make each room of your hotel a retreat for relaxation. 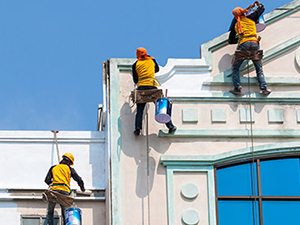 Our painting services are provided with your business in mind. Our teams will make sure your day-to-day business isn’t disturbed by working within your designated timeline. 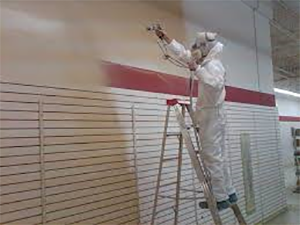 To learn more about our commercial painting services don’t hesitate to contact us today. You can reach our main office at (717) 442-0979.